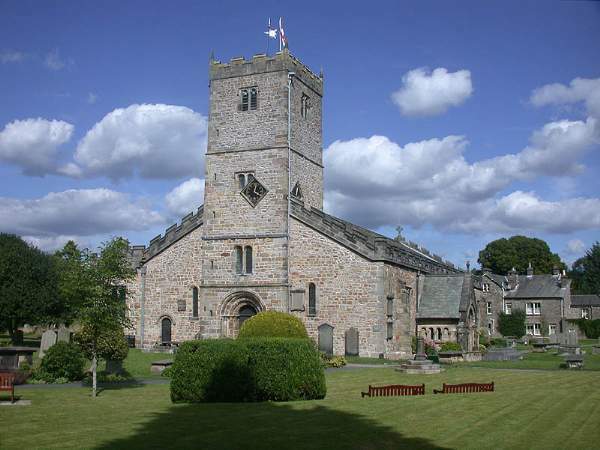 St Marys church in Kirkby Lonsdale is a mixture of architecture, some dating from the early 12th Century. The North aisle has three magnificent Norman columns, similar to ones in Durham Cathedral, with a diamond pattern on the stone. These represent an era of extensive church building and re-building. These are in contrast to the remaining less ambitious columns. The first pillar has a carving of ‘The Green man’, with foliage coming from the mouth. Another Norman feature is the outer door archway on the tower, displaying a variety of styles of stonework. 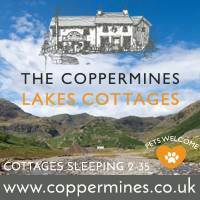 The tower houses six bells, the oldest dating from 1633, and the newest from 1724. To the east of the three Norman columns are 13th Century pointed Gothic arches. The pulpit is dated 1615, and was originally a three decker pulpit, thought it was rebuit in 1866. 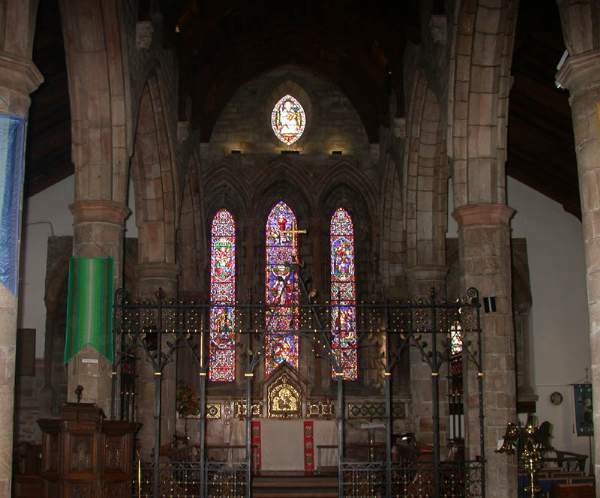 The stained glass is 19th Century, with the East window lancets showing traditional narrative scenes – the important stages in the life of Christ from the Annunciation to the Ascension. The alabaster reredos was crafted by Italian craftsmen, with mosaics representing the Paschal Lamb, and roundels depicting winged creatures. The south aisle contains windows by Henry Holiday depicting Faith, Hope and Charity. On the South wall is a memorial tablet to the little known scientist, William Sturgeon, who is noted for building the first practical electromagnet, the first galvanometer, and the first successful electric motor. 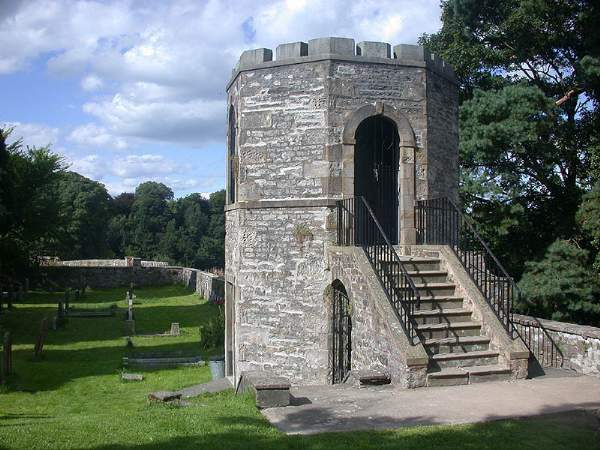 Within the grounds, and close to the point known as Ruskin’s view, is an 18th Century folly – The gazebo. Photos by Matthew Emmott and Julian Thurgood.